You’ve been listening to a song that you feel is perfect for your church and you want to introduce it. What is the best way to go about doing so? We get this question a lot. We noticed, recently, that we had a ten year old article on this topic that we have recently changed the method we use. In honor of that, we thought we’d share with you a way that we have been introducing new songs and mentoring others to do for quite some time now. This one sounds simple – but we tend to miss it. We should ask ourselves some key questions when thinking about all songs we desire to bring in to the church. Is the song lyrically sound, theologically speaking? This one is SO important. 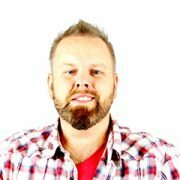 We have done worship leaders and worship pastors a huge disservice over the years in one major area: Years ago, hymns made it into a collection only by making their way past a rigid committee and a lengthy process to vet each song, check the soundness of the songs against scripture, and ensure that the songs were singable. Today – we have one safeguard to getting a song into the church…you. Feeling vulnerable right now with a huge weight on your shoulders? You should. It’s a huge undertaking – and yet we have been asking worship leaders to carry this load for years…and blaming them when the songs don’t work out so well. Grab a team of people: you, your lead pastor, a trusted member of the band, a lay church member (as an example to get you started) and give the lyrics to them without any music. Ask them two key questions: “Are there any issues with the theology of this song? Is there anything scripturally untrue?” and “What scripture references can you see within these lyrics?” If the song has glaring theological issues…there likely is no reason to move forward with it. Changing a lyric or two isn’t ethical…nor is it legal (unless you obtain express written permission from the songwriter.) so it isn’t an option. Just move on. If the song does check out lyrically, give your “review panel” the music to listen to with context. Ask them to evaluate the following question: “Is this a song that you could hear our congregation engaging in?” If the song seems to “check all the boxes”…then move it on to the next step. 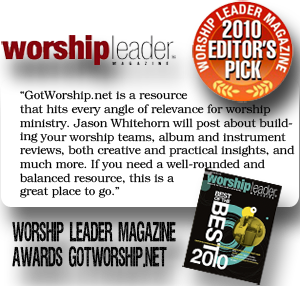 Get it to your worship team EARLY! Remember the approach we had with your panel of song reviewers with the lyrics? Do the same thing with your worship team. Give them the lyrics first. Find a devotional that you can do with the song. Your worship team can’t engage the congregation if they don’t have a full understanding and buy-in of what the song says and conveys, right? Once they have been given the lyrics and had time to appreciate them, give them the song to listen to and enjoy. Get a discussion going about the song. Is there excitement? These experiences can really translate from the stage to your congregation the first time it is played if transitioned properly. Get it to your congregation EARLY! I’ve accomplished this in a number of ways. Sometimes I will post a YouTube video of the actual artist doing the song. As much as possible, I try to use a video of the song in a live worship setting. It keeps the song from feeling as “commercial” and, instead, more “organic“. You can also make your own YouTube video with just you and an acoustic guitar or piano…or, perhaps, add a cajon player. Begin your video by saying “Hey [church name]! We have a song that we are excited about – and we wanted you to hear it and be praying about how God will use it here at [church]. It talks about [brief discussion] and comes from [scripture reference]. Take a listen…” Then, play all or some of the song. Share the video on your social media, website, newsletter. This will be a great start to your engagement with the song! When it’s time to finally schedule the song to be played in a service, make sure you’ve given ample time for your team to learn it and excel with it. When it’s time to sing the song in your set, I’ve found it helpful to tell a congregation that “we’re going to sing a brand new song…” This has been helpful because it takes the congregation off the hook from thinking they SHOULD know the song and gives them the feeling that they will be just as lost with the song as everyone else is. Without that statement…it’s easy to think “wait, should I know this?” and become timid in singing. If there is a line in the song that may be troubling to understand….go ahead and talk about it. Use it as a moment of teaching. Then, I will teach the chorus to them. I will sing it with just myself and a guitar and begin by saying “the words are on the screen…listen as I sing.” Then, after singing the first time thru…I will sing the chorus a second time, this time saying “now you sing that…” and invite any other vocalists on the stage to sing with me as added voices. From there…I will start the song. Once we hit the chorus in the song…people will usually engage, because they have already heard it once…and sung it once. For years, I operated on a 3-1-1 rule for new songs. “Sing it three weeks in a row, give it a rest for one week, and then sing it for another week.” I have adapted this over the years to a longer “introduction life cycle” that I call “2-1-1-2-1” or “The 7 Week Intro“. We will sing a new song for two weeks in a row. The next week, the song gets a rest. The fourth week, we bring the song back. For the next two weeks, we give the song a rest. On the seventh week, we bring back the song one last time in this process. During this week, we determine one key question: “are people engaging this song and singing or not?” If the answer is “no“…the song will likely never be back in our rotation again unless it is the PERFECT song to fit a message for a given week and no other song will do. If the answer is “yes” then we add the song to our song-cycle rotation. This process gives a brand new song four times to be played within a seven week period and is very helpful when introducing multiple new songs at once. With this process I can stagger my start times for a new song by two weeks and not overwhelm a congregation and have my worship set partially planned for 7 weeks at a time. Following these steps can help increase the engagement of your congregation with the songs you are selecting and make a positive impact within your community. Try it out this week! What “best practices” have you used to introduce songs that might be helpful to others? What tips here are you most excited about trying out with your congregation? Discuss the questions above at the bottom of this article with us in the “Comments” section. We LOVE hearing your feedback! Plus, we draw commenters at random for prizes like Starbucks gift cards, Praise Charts credits, LoopCommunity credits, and more!